This is actually a semi request fill. Semi, in that a different image was actually asked for, but I liked this one more. 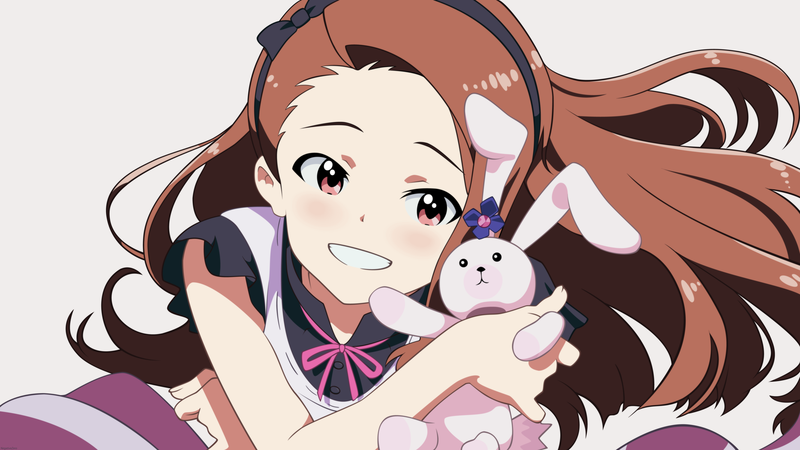 Never really been an enormous fan of Iori, but I really like the changes they made to her design for the game’s sequel and the anime. One of the cards included with the Game / BD vol 1 LE pack (yes, I bought it ) was this, and the instant I saw it I decided I wanted to go back to the anime (the episode 2 ED specifically) and vector it. I could probably have just scanned the card, but I like doing it this way, though I’m way out of practice since this took me ages.